Sometimes we need to present our content in the shape of tables because if we going to share some specific projects with our site readers then we will easily add them in tables and our site visitors are easily understand It but unfortunately blogger don’t provide you any tool to create tables in blogger posts and if you want to create it then you need to have deep knowledge in HTML, CSS and some other programming languages but many of newbies don’t have knowledge about these languages, so we will need to use any simple and easy method to create table in blogger posts. 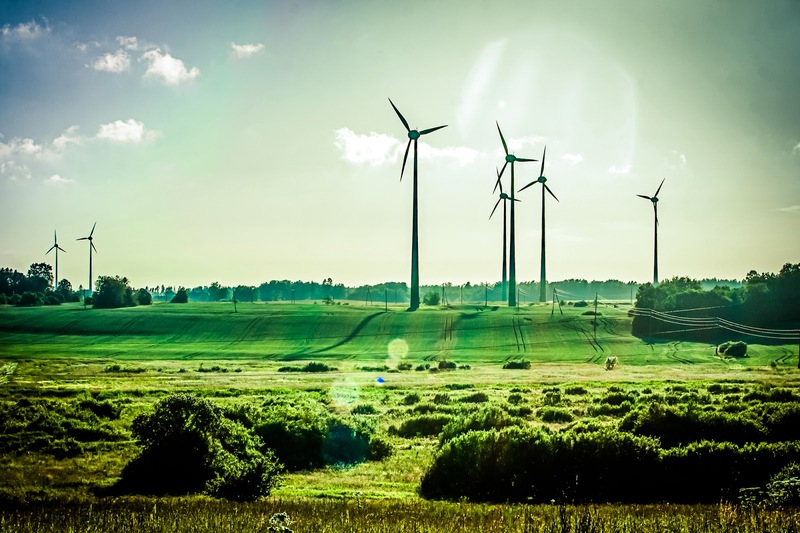 Also Read: How to Customize Image Lightbox in Blogger? Create Table in Blogger Posts Without Coding. There is a lot of ways that we can use and create our table by playing with different HTML and CSS codes but if we want to create table without using any coding then we need any software that helps us to create tables. 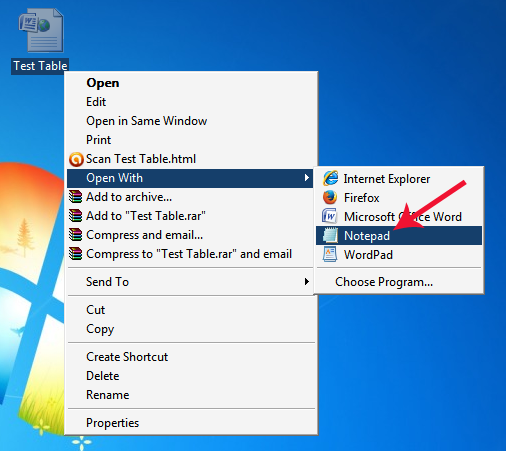 You can use any software for creating table but we suggest you to use MS office word because it’s very simple and easy to use and we can create every type of table by using It. You can also change your table font and color styles in MS word. Below we will going to share with you one method that how you can use Microsoft word to creating table and after it add them in blogger posts. How to Create Table in MS Word? This is one of the simple and easy method to create table. You just need to download MS Office from anywhere or if you already have then simply open it and follow our steps. We will divide this tutorial in few steps that helps you to understand this method easily and in below screenshots we will use Microsoft office 2007, you can use any version of MS office for creating tables. 1. 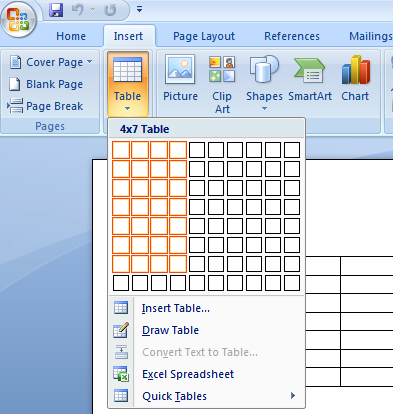 First of all Open MS Word and got to Insert>> Table and create table by choosing your desired rows and Columns. 2. After it you need to write your desired content in Columns. You can also drag and drop columns and rows by using your mouse cursor. 3. Now after writing your content in table, we need to customize it little bit and make it more shiny and attractive. You just need to click on “Design” tab and you can see a list of some designs, just click any of them and apply on your table. You can also use some other styles by clicking on next and previous buttons. How to Add Tables in Blogger Posts? After creating table we need to add it in blogger. There is two ways that we can use to add tables in blogger posts and below we will discuss both methods with fully detail. Method#1: Adding Table By Simply Copy, Past. 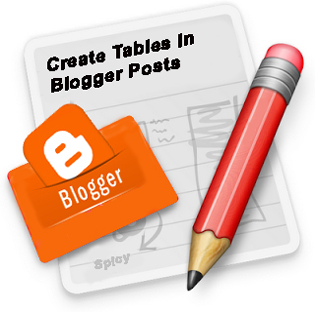 This is one of the best and easy way to adding table in blogger. Here you don’t need to playing with any HTML or CSS coding, you just need to copy your table and paste it in blogger post. If you don’t know a method then follow below steps. 1. Simply Press (Ctrl+A) and select whole table and after it copy your table by using (Ctrl+C). 2. 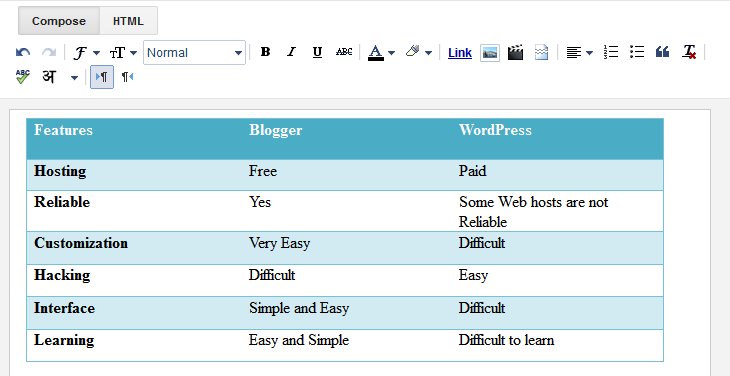 Now Go to Blogger Dashboard>> Create New Post and Paste you table. That’s all, just write your desired content above or below table and publish it. 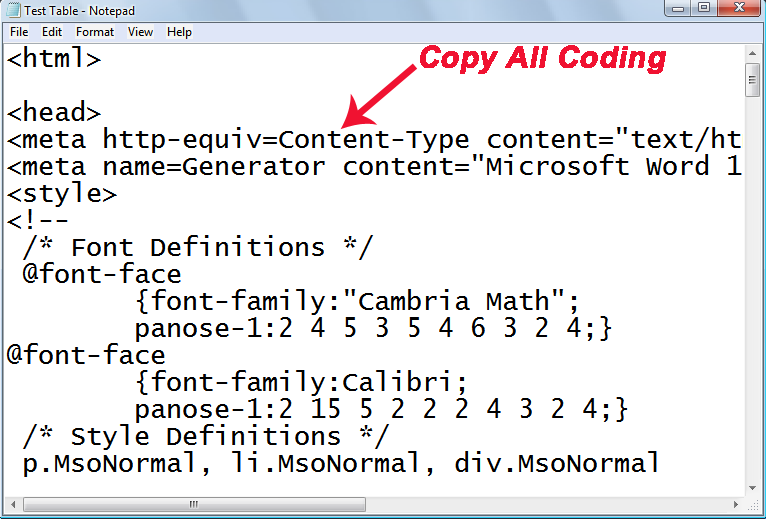 Method#2: Adding Table By Using HTML Coding. If you want to add MS word table by using HTML coding then below we will also discussed each step of this method, just follow below steps and learn how you can add table by using HTML coding. 1. First of all Save your table by click on File>> Save as that you see in top left corner. 2. Now saving box will appear where you need to write your file name and save as type. Simply write your desired file name with .html extension and select “Web Page, Filtered” from save as type. After it select your desired drive where you want to save this table and click on “Save”. (Tip: Save your file on desktop to access it easily). 4. 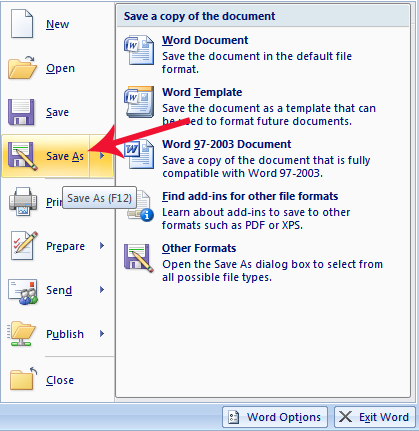 After saving file simply right click on it and go to “Open With” and select “Notepad”. 5. Now you can see HTML Coding of your table, simply copy it and move for next steps. 6. Go to Blogger Dashboard>> Create New Post>> Move to HTML tab. 7. 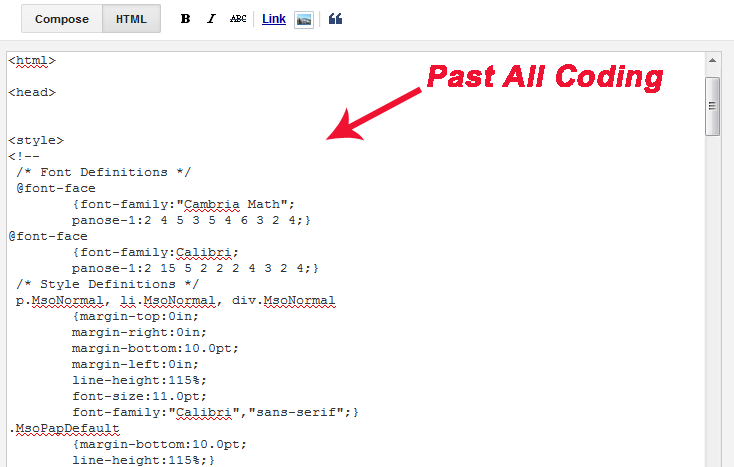 Now Paste your table coding in HTML tab and click on Preview or Publish post. We hope this methods will help you to learn how to create and add table in blogger posts however if you face any problem or you have any question then feel free to ask in comment section and don’t forget to share this post with your friends and also subscribe us for getting upcoming tutorials straight to your inbox. Best Wishes and Happy Blogging. Guys, navigate over here to learn more about vocational schools.